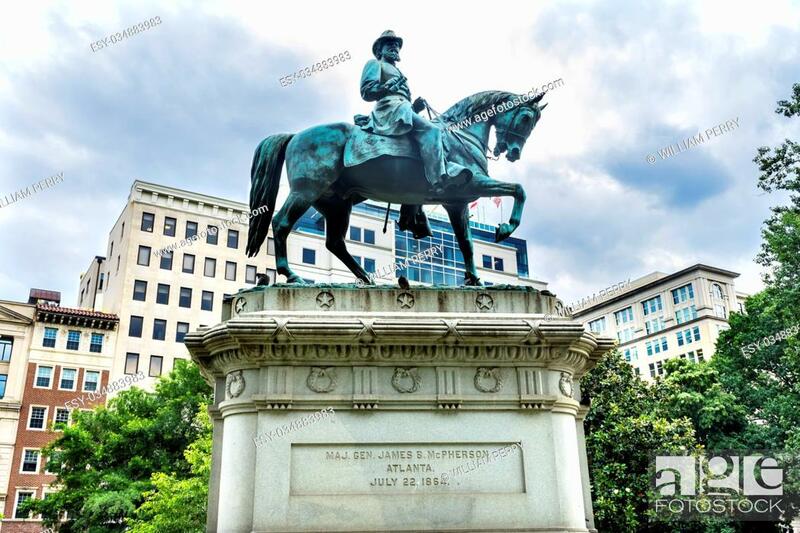 Foto de stock - General James Mcpherson Memorial Civil War Statue Mcpherson Square Washington DC. Statue created 1876, sculptor Louis Rebisso. Brigadier Mcpherson killed at the Battle of Atlanta.